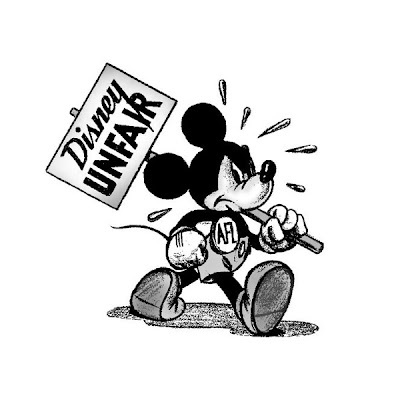 Most of you don't know about the big strike against the Disney Studios back in 1941. But if you love Disneyland, you should. Because that strike was a pivotal moment for Walt Disney. After it, he and the animators didn't have a cordial or friendly a relationship. Events would start to happen like World War II, which redirected his focus on not just sustaining his company, but his country. After the war he moved more and more into live-action as well as animation. And his thoughts turned to another project he had. Something that involved a theme park. He had once been just an animator, then a producer of animation. Walt moved in many different arenas, but that strike back then made him realize that there was more out there than animation and it also helped him take his other passions to another level.